I had always dreamt to fly in the sky, free as a bird. 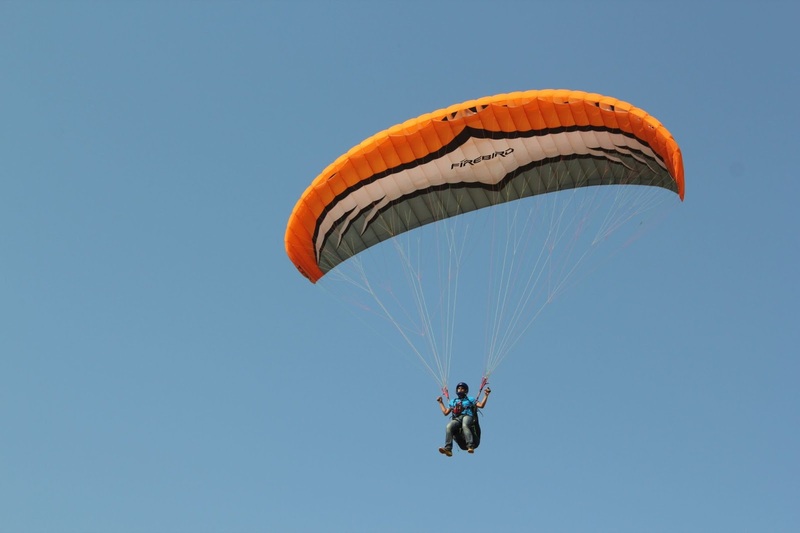 For the last 1 year, I was trying to persuade my friends to go for paragliding with me but in vain. Then I decided to go alone but rockingly (don’t mind this English mistake please), my brother and sister decided to accompany me for this (seems like adventure is in our blood). Our parents had all kinds of fears but I persuaded them and we went to Temple Pilots for our 3 days basic course of paragliding in Kamshet. We reached their base at 7:30 am and we had to go for the training straight-away. Soon, we were at the training hill and were briefed about the glider, its controls and the plan for the next 3 days of our stay. Then we started the ground handling of the glider. We were shown how to inflate the glider, control it in the ground and run with the glider. It was looking quite simple but when we actually started to do it ourselves, we realized how difficult it was. When the glider was inflated, it exerted too much pressure on the hands and even pulled us back. Holding it and controlling was a difficult part and running with the glider even more. The glider would be deviating to its left and right with the wind and we would have to change our course of run with the glider to stabilize it. At times, the glider would even lift us up making it difficult to run. Finally after numerous tiring tries, we managed to control the glider properly on the ground. Next, we were ready for our first small flights or hops as they are called. We climbed the training hill half-way and had to take a flight from there. 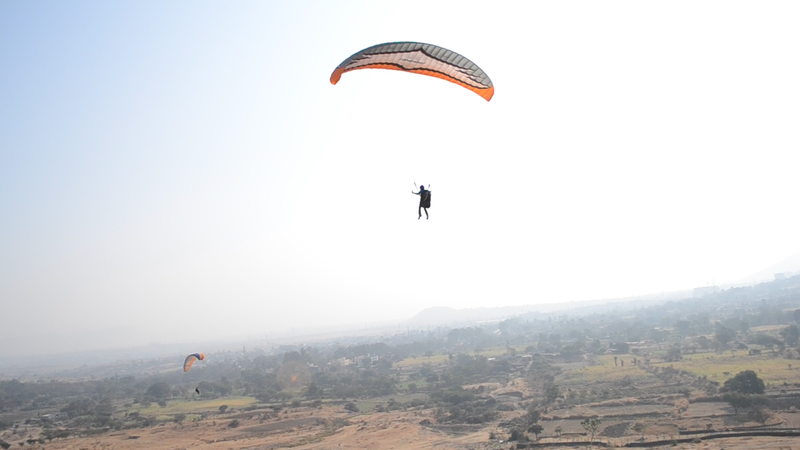 With only 1 mantra of “Darr ke aage jeet hai”, I took my first flight from the height of 75 ft and I was feeling great. Then, the glider descended down at a much faster rate and I experienced a sudden weightlessness and I thought I was going to fall on the below rocks. In that one second, I realized the speed of thoughts but the glider descended slowly afterwards and I had a smooth landing. My brother and sister too had similar feelings but at the end, we managed to control the glider in the air and were ready for our big solo flights. We came back to our base and had to give our theory tests (how boring. Theory tests here too!!!) The test was to be taken on the 3rd day but we thought to complete it on the 2nd day itself. It was a very small test based on what we had learnt and did in our 1 and a half day and we passed with flying gliders! In the evening, we went to Pavna site for gliding and the view was mesmerizing. 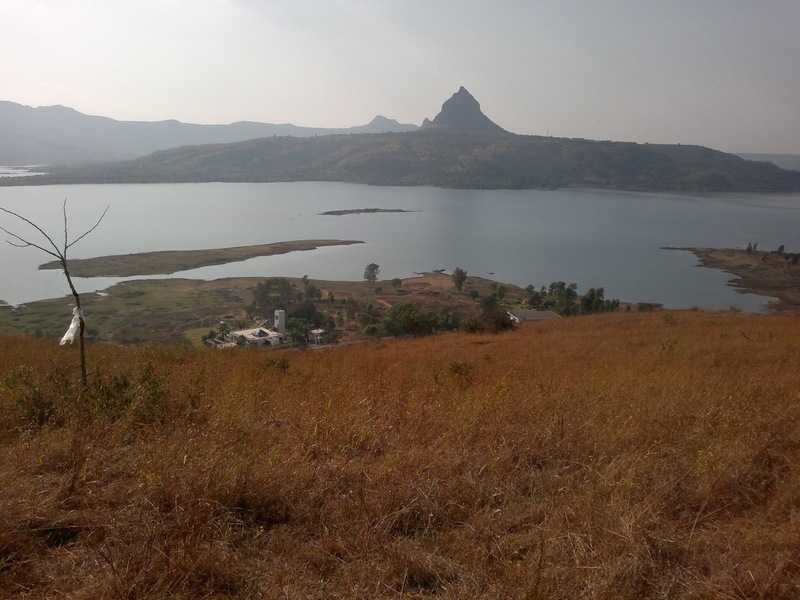 We stood at a height of 350 ft facing the river in the front with cool breeze blowing towards us and had to glide all the way down near the shore of the river. We were a little scared of the height from which we had to glide down and had to cross electric lines and houses and trees before reaching our decided landing spot. But I had a song on my mind – “Sarfaroshi ki tamanna, ab hamare dil me hai . . .” I inflated my glider and started my flight well. I was just following the instructions given by the instructors to control the glider and its flight path. Once I saw that I was crossing the electric lines and I was way above it, I became normal and started enjoying the nature and my flight. I got back my smile and glided in the air like a free bird and finally landed perfectly at the pre-decided location. It was an over-whelming experience. I radioed my brother and sister not to worry and just enjoy their flights. We were thrilled, boosted with confidence and had one of the most beautiful experience of flying on our own. We got what we came for and it was simply superb. On our 3rd day, we had a couple of flights and enjoyed them but the joy and thrill we experienced on our flight is beyond any comparison. If I just spread my wings, I can fly!!! Had you told me your wish, I would have accompanied you. I love such adventures..feeling that I missed an opportunity. whatever be the next, aapko jaroor bataenge bhaiya . . .